Jon Linstrum said “Working with Magnetic Events to help produce significant outdoor arts projects of wide-ranging appeal and open access has been hugely rewarding. It has further underlined my belief in the inclusive and transformative effect which outdoor arts can have on a community and visitors into that community. Events such as Odin's Glow are representative of an increase in the scope, ambition and reach of the outdoor arts sector and I very much hope to be able to help this increasing ambition from my new position within the Arts Council." Robin Morley, Director of Magnetic Events has been appointed as the Festival Director and Producer for a new arts and culture festival SO 2010 by East Lindsey District Council and the Arts Council England, East Midlands. The four day festival will take place from 22nd to 25th July 2010 during the Olympic Open Weekend for London 2012. SO 2010 will feature an international programme, commissioned artworks and a programme of local and regional performing & visual artists. As a biannual festival with major Arts Council England investment the festival will produce a signature programme for 2010, which in turn will lead to festivals in 2012 and 2014. Robin Morley said “Our intention is that in 2010 we will produce a Festival that brings some of the best international and national outdoor performance companies to the famous Skegness foreshore and beach for events that will be seen by an audience of many thousands. This will be linked to a programme of commissioned artworks, installations and performances that will explore, enhance and transform the Skegness seaside town & beachscapes. We are aiming to be not only SO Bracing but also SO Delightful!" The award-winning Enchanted Parks returned to Saltwell Park, Gateshead this winter (Thursday 10th Dec  Sunday 13th Dec 2009). 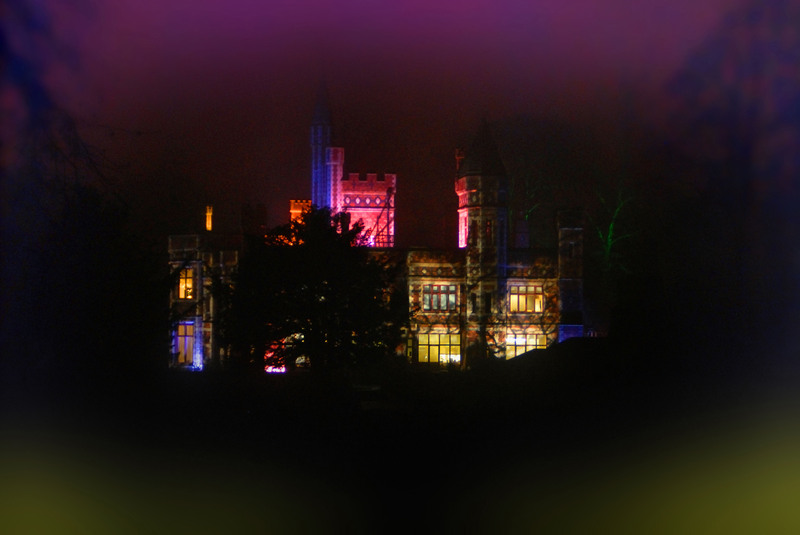 Magnetic Events worked with 9 national/international commissioned artists and 4 student commissioned artists to transform the park through atmospheric installations, light, sound and performance into an enchanting seasonal wonderland. This year's theme was interpretations of the "Twelve Days of Christmas". 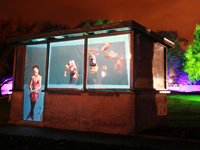 Over 6000 people came through the winter art trail across 25 landscaped acres of Saltwell Park during the 4 evenings. Enchanted Parks is an innovative outdoor arts programme presented by culture10 for NewcastleGateshead Initiative in partnership with Gateshead Council as part of the Gateshead Winter Festival programme. We are already thinking about the potential future for this popular public winter event and we would welcome your input and feedback. 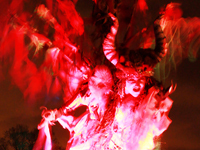 If you have been an Enchanted Parks visitor or if you have not yet visited but would be interested in seeing future events taking place, please send us an email to: comment@enchantedparks.co.uk The event is supported by Gateshead Council and the funding partners and your comments and encouragement would be welcomed. We are pleased to announce that Odin’s Glow has been short listed for the “Best Teesside Event 2009 Award”. 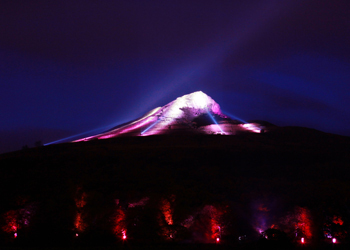 Odin’s Glow took place over four autumn evenings on and around the famous Roseberry Topping peak and in the village of Newton under Roseberry on the North York Moors in Redcar & Cleveland. The winner of the award will be announced at the Culture Journal 2009 Awards Ceremony on March 23rd at the Gala Theatre, Durham. The Odin's Glow event took place on a monumental and spectacular scale with over 10,000 people over four evenings experiencing the artistic interpretations in celebration of this distinctive natural icon on the edge of the North York Moors. Artworks created by 25 commissioned artists transformed the village of Newton under Roseberry and the surrounding natural and historic landscape. The public arriving by special buses went on a journey to explore the myths from the Nordic past, the legends of Odin, the history of Captain James Cook and what has inspired and drawn people to this famous landmark over looking the Tees Valley. Odin’s Glow took place from Thursday 22nd to Sunday 25th October 2009. Magnetic Events creative producers were commissioned by Redcar & Cleveland Borough Council to transform the landscape surrounding the distinctive peak of Roseberry Topping and the village of Newton under Roseberry to produce one of the largest outdoor art events taking place in 2009 in the North East region. Arts Council England, London commissioned Magnetic Events to produce with Improbable Theatre a two day Open Space discussion event. The event aimed to develop in depth ideas between interested stakeholders for new production spaces for creating outdoor or street artworks in London. Over 70 representatives of outdoor arts organisations, producers, strategic agencies, artists, arts companies from across London and the rest of the UK attended the event. The results of their discussions on new production spaces can be seen at: creatingspacesreport.blogspot.com and you can make further contributions to the debate.